AR vs VR #Infographic ~ Visualistan '+g+"
Way back in the 1980s everyone went crazy for Nintendo’s Virtual Boy- that is, until they discovered it gave them headaches. Since then virtual reality technology has come a long way. Students use it for interactive lessons they might not be able to get elsewhere, while realtors offer virtual reality tours to homebuyers to save time out in the field actually looking at homes. Virtual reality makes the screen become your world in an immersive experience. Augmented reality takes things to the next level. The world becomes your screen and your experience is integrated with your surroundings. There are practical applications of this, such as conference calls where the person you’re speaking to appears to be in the room with you. There are also fun interactive opportunities, such as following along hands-free with your favorite cooking show. Companies are investing heavily in both types of technology. 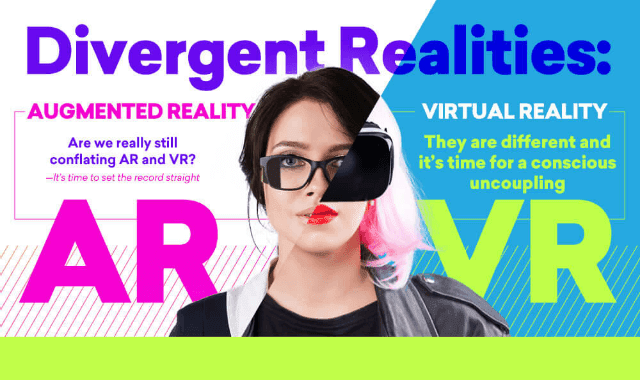 Learn more about the future of virtual reality and augmented reality from this infographic!